In 10-inch nonstick skillet, heat hot dog strips over medium-high heat until strips begin to curl. 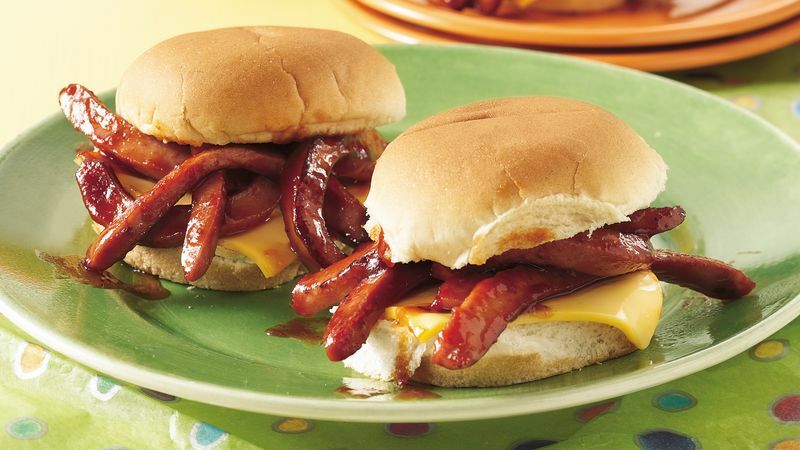 Gently stir in barbecue sauce until hot dog strips are coated. Heat until bubbly. Place slices of cheese on bottom halves of buns. Top with hot dog mixture, and cover with top halves of buns. Cut each hot dog in half lengthwise, then cut each half in thirds to make 6 strips. Strips will curl slightly when heated.